last updated 2 November 2000. 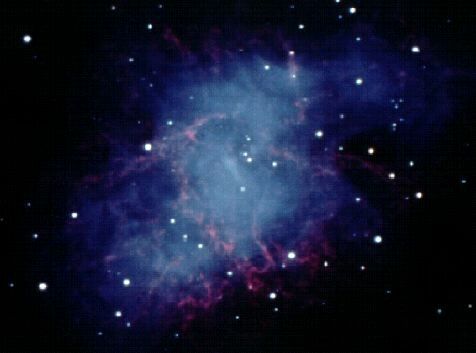 A supernova is an exploding star. A high-mass main sequence star evolves into a supergiant, which switchbacks back and forth on the Hertzsprung-Russell diagram as its core grows ever hotter and its nuclear furnace produces ever heavier elements. Soon after its innermost core begins producing iron, the most stable nucleus, a crisis occurs. The star produces so much energy that it explodes with a burst that sends its outer layers flying off into space at about 850 miles per second. 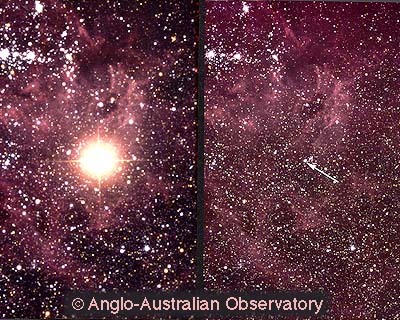 During this so-called supernova explosion the star shines, for about a month, as brightly as 600 million suns. Because so much happens so quickly, supernova explosions are not well-understood. Supernovae are rare. In the last millenium, humanity has recorded only four in our galaxy. 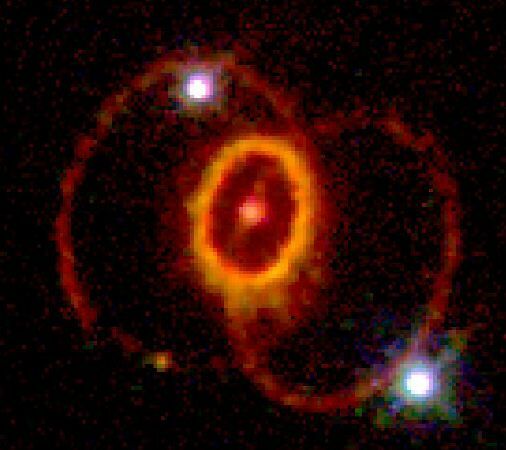 The little star surrounded by ovals is all that remains of the supernova's core. 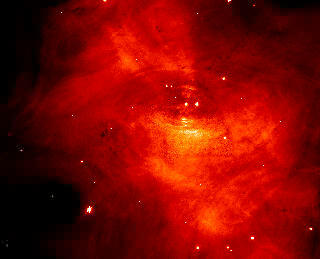 We will see later that this is a neutron star. The timing of the closely spaced 1572 and 1604 supernovae was in one sense unfortunate. 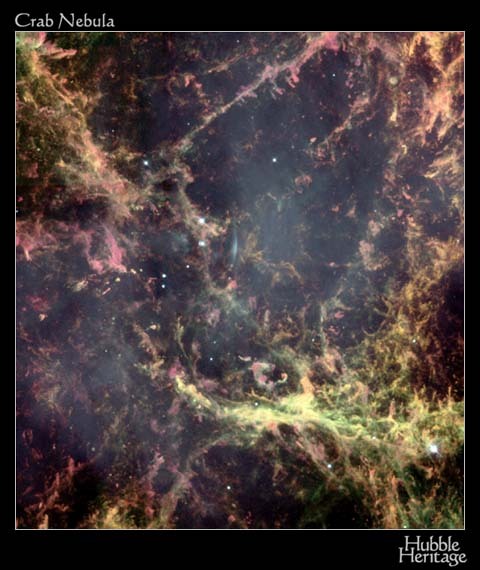 The telescope was invented in 1608: If these supernovae had just held off a few years, they could have been studied much more intensely using telescopes!